The farm to table movement has been on the rise in recent years and influencing the way society views food consumption. 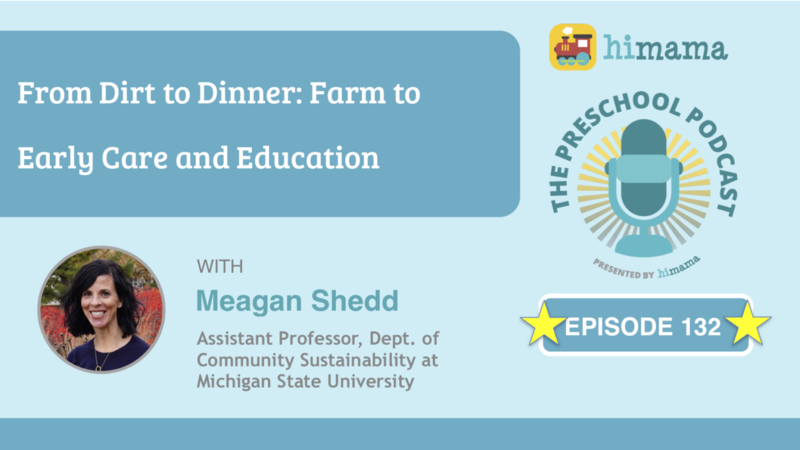 In this episode, Meagan Shedd, Assistant Professor in the Department of Community Sustainability at Michigan State University, shares the benefits of implementing a Farm to ECE program, from better nutrition habits, creating a tighter sense of community and practicing a more sustainable lifestyle. She also offers practical tips and resources for ECEs who are interested in implementing a Farm to ECE program at their center. So again, it’s that Triple Win: kids win, farmers win, communities win and our families win. And that all feels vitally important when we’re talking about nutrition and early care and education settings, which is also going to improve learning outcomes for young children, too. So today on the show we have Meagen Shedd. She is an assistant professor of Farm to Early Care and K-12 Education at Michigan State University. 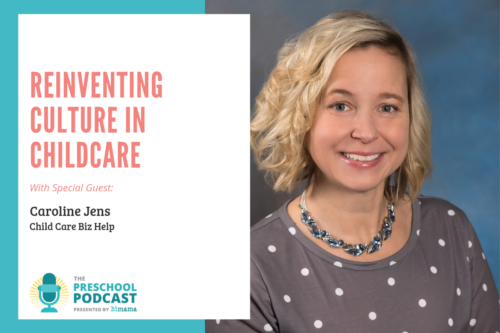 And we’re going to talk to her about Farm to Early Care and Education, what that is, what it means and how we can do it in our own preschools, childcare programs and early-learning settings. Meagen, great to have you on the show. 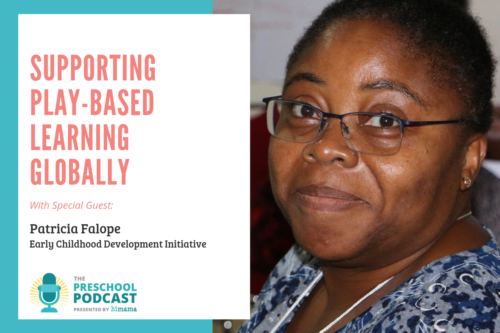 Let’s start learning about what we’re talking about when we say “Farm to Early Care and Education. Thanks for having me. And I work with the Center for Regional Food Systems here at Michigan State University, which is in our Department of Community Sustainability. And Farm to Early Care and Education, it’s one of those things that a lot of people haven’t heard about or maybe they’ve heard just little snippets about. And so it’s one of those exciting things that’s really emerged out of the Farm to School avenue or that Farm to School area. So it’s really just a group of strategies or activities that offer early care and education settings [and] increase access to healthy and local foods. We also talk about gardening or gardening opportunities and then food, nutrition, but also agriculture [and] education activities. So we often think about that as visits to farms or having farmers come and visit the early-childhood education setting. When we think about Farm to Early Care and Education – or Farms to ECE, just to be more succinct – it’s focusing on children from birth to age 5. So preschool would fit within that age group. But we can also do Farm to ECE with infants and toddlers and we can adapt that to any type of early care and education setting. So that can be center-based care, family childcare homes, and also school-based childcare as well. So let’s start with the basics: Why are we doing this? 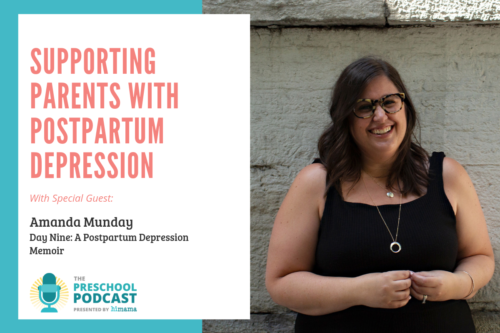 Why is this important, in particular for children aged 0-to-5? Well we know that obesity has been… it’s actually been kind of staying at a steady rate for the last couple of years. 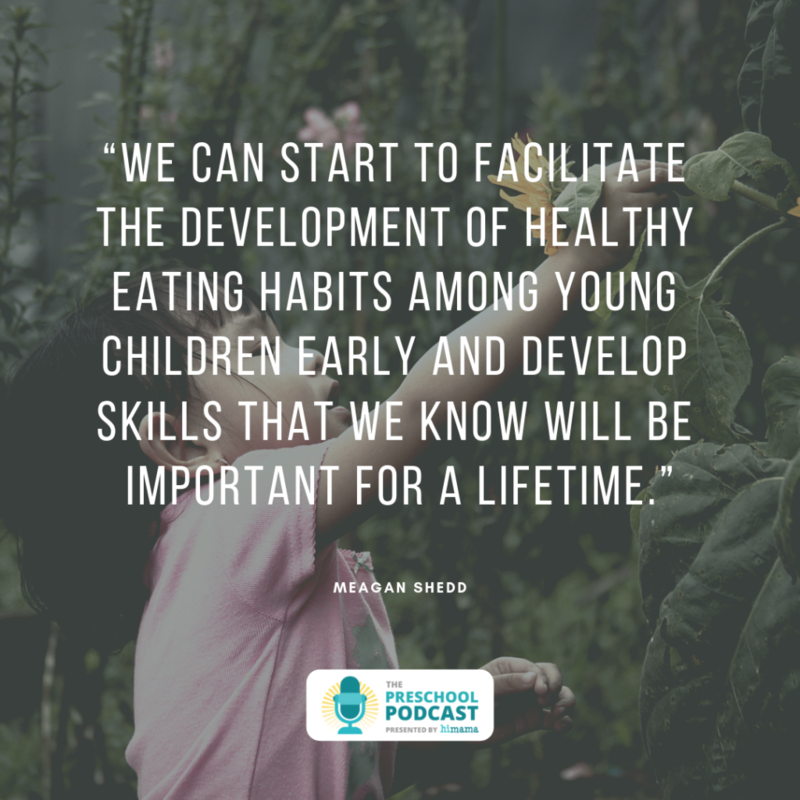 But when we look at obesity rates among young children it’s been climbing and this is one area where we can start to facilitate the development of healthy eating habits among young children early and develop skills and a knowledge base that we know will be important for a lifetime. 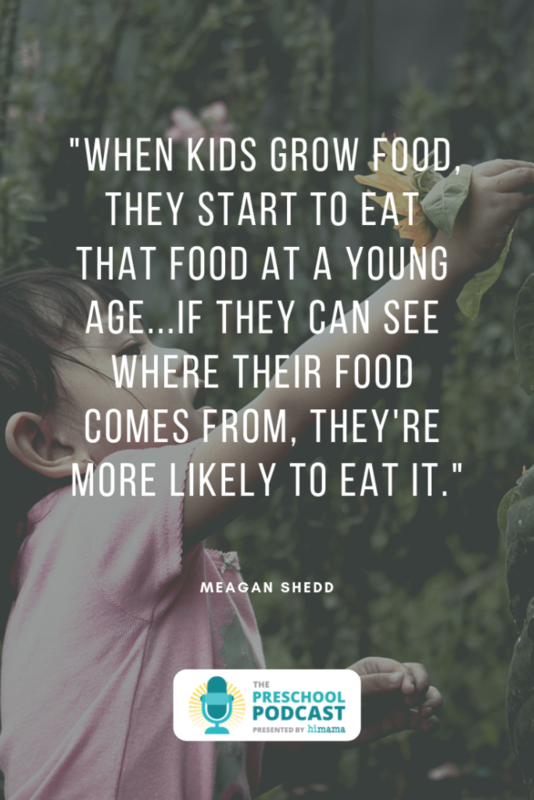 The other thing that feels really important about this is when kids grow food they start to eat that food at a young age. So a lot of times kids don’t know that Brussels sprouts are grown on a stalk, or they think that chicken comes in nugget form and it’s wrapped in plastic. So if they can see where their food comes from, they’re more likely to eat it. The other piece that’s really important about this – and we refer to this as the Triple Win in Farms in Early Care and Education – is that our kids win because they’re learning about healthy food. They learn where their food is grown, how it comes to them and they get good nutrition habits at an early age. Our families win because they’re also a part of this process. So a lot of times in Farm to Early Care and Education settings are sending home recipes with families that their children have prepared in the early care and education setting. And I don’t know about you it’s time it’s a big factor for me. So I want to make time to cook healthfully but I also want things that are with easy ingredients and five ingredients, five quick and easy steps, whatever it might be. And our settings or sending home those kinds of recipes and really working on that family engagement piece. It’s also a win for communities. 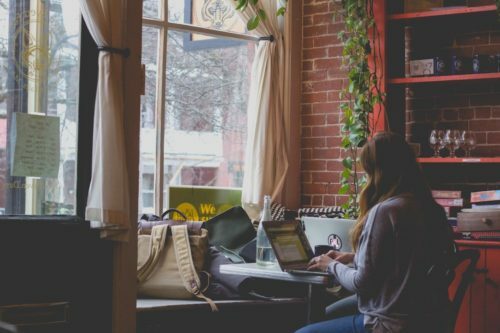 So we are, when we’re working with farmers or having kids visit the farmer’s market or doing veggie boxes where farmers can meet with the education settings, that’s a win for the community. So farmers are getting lifelong customers. We’re also building that stuff back into the community. So we’re putting money back into our communities when we’re buying locally. We know that we’re reducing our carbon footprint – food doesn’t have as far to travel. That feels important. When I have food that doesn’t have far to travel I’m increasing the shelf life. So I have food that can stay in my early care and education setting longer. So I’m not throwing as much out and I have reduced waste. The nutrient value that food has also increased as well. So again, it’s that Triple Win: kids win, farmers win, communities win and our families win. And that all feels vitally important when we’re talking about nutrition and early care and education settings, which is also going to improve learning outcomes for young children, too. It’s interesting because I think sometimes as an adult you take for granted what about everything in the world, having a certain number of years of experience living in it. But, like, the chicken-nugget-wrapped-in-plastic example I think is kind of eye-opening, because who knows, right? And I know my wife and I, we both grew up in farm families, and every year in Toronto where we are, downtown they have something called the Royal Fair where they bring in cows and different farm animals. And we’re kind of like, Why would you want to go there? But when you think about it, if you grew up in this city maybe you’ve never seen any of this stuff before, and it’s actually super interesting and fascinating experience. And so it’s an interesting context to put it in. So there [are] some very clear benefits here, both for kids families and communities, as you mentioned, with the win-win-win scenario. And you mentioned specifically communities and the local aspect of this. So when we say “local”, what do we mean by that? Sure. One of the things that feels really important is to lot the early care and education setting decide what “local” means for them. And so we’re really cautious about defining “local”. So that allows some flexibility and a definition that allows each setting to be nimble and really creative. So coming from… I’ve lived in New Hampshire for a while, and so in New England, “local” could be that five-state New England region. In Michigan, if I’m here in the East Lansing region or East Lansing Area, Michigan State University actually has a student organic farm. And that farm can grow food that the university can harvest and utilize products within the university setting. So “local” at the university level could be within a five-mile radius. When we did the 2018 Farm to Early Care and Educator Provider Survey in partnership with the National Farm to School Network – a lot of words right there – participants were actually asked how they defined “local” and those responses were pretty interesting. So about a third of our providers that participated in that survey, they defined “local” as within the same city or county. So they’re saying it’s a pretty tight radius in terms of “local” means to them. Another quarter reported that “local” was within a 50 mile radius and about another 20% said that “local” was within the state. So providers are really defining what “local” means to them. And so if they have a Farm to Early Care and Education team – which is something that at the Center for Regional Food Systems we recommend they do, this isn’t something that people can necessarily take on by themselves but we really recommend – get a group of people that are interested in this and are passionate about this work and work together. You want to define as a group, what does “local” mean to you and how are you going to define that? Cool. And the more we talk about this the more it kind of gets my brain going on, like, how much more it is, even beyond the things you talked about around nutrition and being able to see where the food grows, is all the learning that can happen through that process. 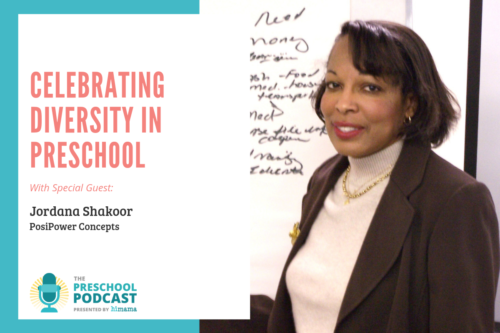 It’s just phenomenal when we talk about the context of early-childhood education. And so in that context let’s talk about how I can implement something like this in my preschool or early care program practically if I’m interested in this. What are some things that I can do to get started? Sure. And that’s such a great question, because a lot of times a setting will call or they’ll go on the Center for Regional Food Systems website and it can feel really overwhelming. And so one of the first things that a site can do is to just engage in a self-assessment of what they are already doing in terms of Farm to ECE. So one of the things that I find to be really helpful is on the National Farm to School Network website they talk about the three areas of Farm to ECE, or the three components. So there’s procurement, which is really just a fancy way to describe, How are you getting food at your setting? There’s the experiential education piece to that hands-on learning of how we’re talking to kids about the food that’s grown. We might do tasting demonstrations. If we think about early care and education we have all of those different domains of learning and Farm to ECE can fit into every single one of them. A lot of sites will engage in creative curriculum; they might use HighScope [quality approach]; they might do Project Approach. So just talking with kids you can find out what their interests are and how to fit Farm to ECE in any of those components. So on our MSU [Michigan State University] Center for Regional Food Systems website there’s a step-by-step guide that can walk people through a series of questions and help them to think about how they would describe their food preparation. 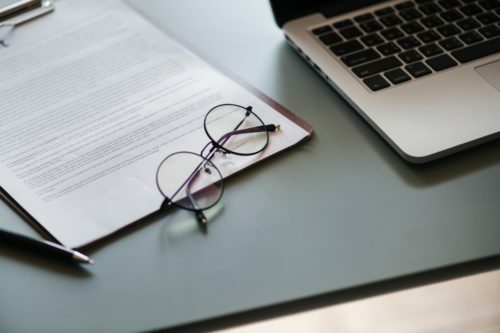 So if we’re just thinking about procurement, which is really our area of expertise, what types of meals they’re preparing – meals and snacks – and the time of year if they’re a full year operation or a partial year program, how many children they serve, and so on. The questions also really help programs to think about, “What’s most important to me? So if I really want to integrate local into my food program, that feels really important. If I’m just at a stage where I’m trying to integrate more fresh food, fresh fruits, fresh vegetables, that also feels important. The resources that we have also have some forms that sites can download or print and help keep track of how key items could be substituted into their menus. The National Farm to School Network also has some resources to think about, experiential education and gardening and other resources. So whereas the Center for Regional Food Systems is going to be a really great resource for procurement, I would toss people over to the National Farm to School Network website to help think about the experiential education and the gardening aspects. And so if we’re looking at those different websites we want to think about FoodSystems.MSU.edu for the Center for Regional Food Systems, and then NationalFarmToSchoolNetwork.com for the National Farm to School Network. Cool. That sounds like great resources. And so, what about challenges? Let’s say I’m interested in doing this. You’ve given me some great resources to get started. What are some of the challenges that you see ECE programs facing trying to do something like this? Sure. And this is something where that 2018 survey was really helpful in having data to back up some of the things that we were seeing in the field. The biggest barrier that this survey identified was cost. And that feels normal. So when you think about when you go to the grocery store or when I go to the grocery store, and especially right now in the winter, if I’m looking at fresh produce I’m probably going to back off on I’m buying some of those. I’m not going to probably buy strawberries this time of year. They don’t necessarily taste good in Michigan, and the cost is prohibitive. And so that’s something that our providers or our participants in the survey identified as well: cost is prohibitive. And especially if you are an early care and education site, where a number… most of our, probably about half and half, if you’re not federally funded or you’re not participating in the Child and Adult Care Food Program where you have some reimbursement for food costs, parents are providing the funding for that program. And so your funding is either going towards salaries or you have a very small line item to go towards food. 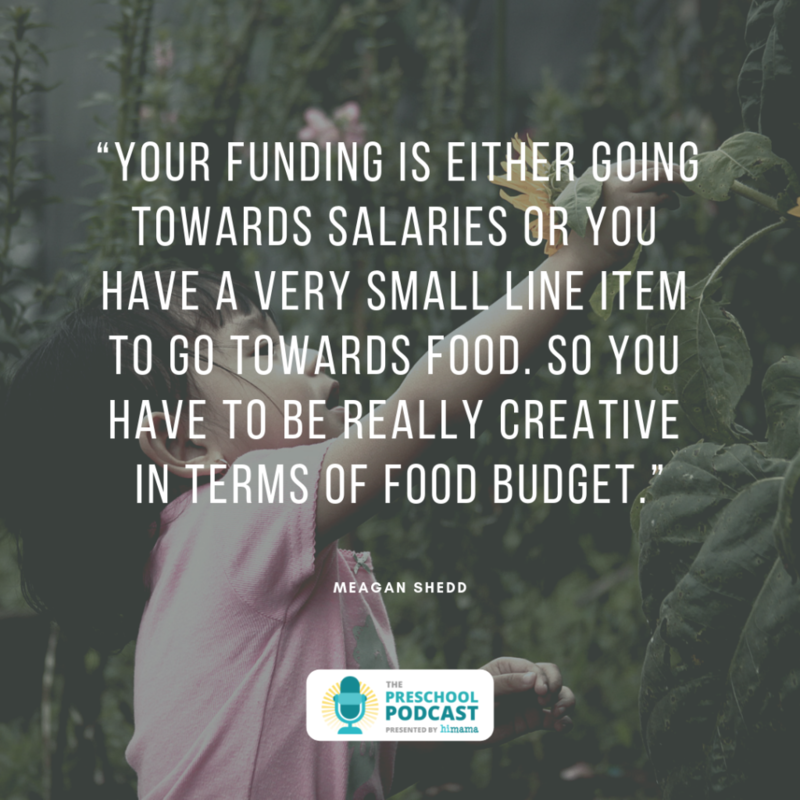 So you have to be really creative in terms of food budget. And so educators are actually pretty savvy in overcoming some of those challenges like cost and seasonality. And so they say they buy frozen product. They think about coming together as a collective. And so maybe a group of smaller providers like family-based providers might come together and pool their money. And so a group of them can have that buying power to buy in bulk and then they redistribute. And that also takes away that challenge of, “How do I store a bunch of stuff if I don’t have a big freezer?” So those challenges can be addressed pretty easily with some creative mind power. Yeah, and certainly those two things I think go hand-in-hand in terms of the cost and finding suppliers, because, imagine if you can go direct to the farmers, for example, it’s going to be a better cost. It can be, and sometimes it’s that creativeness in working with the farmer. So the farmer needs to also know upfront that somebody wants his or her product. And so they have to think about planting needs. They have to think, a farmer can’t control the weather. They can’t always control pests. But if they know if someone wants to be able to purchase this product that can be helpful. Community-supported agriculture – or what we call CSA’s – those can be helpful where a group of providers are just like people like you and me, they can purchase a share ahead of time and then the farmer knows that people are going to be buying into their particular product. That can sometimes be prohibitive for childcare providers who don’t always have the money upfront, but if they do have the money upfront that’s one way that they can buy into a farmer. And that also supports local and local agriculture as well. And so you mentioned earlier about families also being one of the key stakeholders here and really benefiting in terms of, for example, getting those healthy-eating recipes that can help us balance our busy schedules and all these demands on our time with making healthy meals for our children. What are ways that families can get involved in this process? I know my family has this great recipe for homemade mac and cheese. We’ve been able to modify it with the help of one of the chefs at a childcare setting so that it became a low-fat recipe. And then the chef added vegetables into it. It was a great way to introduce vegetables to the children in the childcare setting. She added broccoli and the kids loved it, and so it was a great thing. My kids loved it. Broccoli got added to it and it was a win-win for everyone. The other thing that we were able to do at one of the settings was that they asked for volunteers. So they didn’t want to do a traditional garden but they wanted to do raised beds, and there were a number of grandparents but also other family members that were able to volunteer. It wasn’t something where they had the funds to provide the materials for the raised beds, but they could provide the person power to do that. And so the families came together on a weekend, helped to build the raised beds, and then some of the grandparents because they had the time during the day they would come and then they would they would do the weeding. But they would also help the kids know the difference between, “This is a viable plant,” and then, “This is a weed.” So they were taking their expertise and their knowledge and helping the kids to learn those skills. And that was something that… I learned to garden from my grandparents, and as part of our research project that I was doing while I was in another state, that was the message that I was consistently getting from the kids this part of focus groups: they were learning how to garden from grandparents. And so that multigenerational aspect of gardening, that feels really important. The other thing that we’re noticing, too, is that sometimes mobile farmers markets can be a viable option. So families can pick out their produce boxes, or if there’s a fall farmer’s market that can be in the parking lot of an early-childhood education site or just adjacent to it, that’s a way for families to continue supporting that message of healthy eating at home. And it’s also – I mean, think about it, how convenient is that? So I stop by my farmer’s market right after I’m picking at my children and my children can help me pick out the fruits and vegetables, the same ones that they might have been enjoying at their childcare facility. And then, again, it’s just pick up the kids, go pick up some fruits and vegetables, take everything home. And if the farmer has recipes that are available that are quick and easy, it just seems like a beautiful arrangement. And so families are still supporting those messages that kids are getting at the childcare setting. That feels like a beautiful way to continue this and make it full-circle. Yeah, and we’re certainly seeing more and more of those farmer markets pop up, both in large urban centers as well as some smaller towns and communities, as well, I’ve seen that too. So certainly lots of options, and I love the idea of getting the families involved in the gardening aspect in the ECE programs for so many reasons, the ones you mentioned, and even just for the children to see the families contributing to their community as in their environment and their setting and their relationships and partnerships that develop with that is all a great experience part of this as well. So many things to take away here, Meagen. Unfortunately we’re running short on time, but I want to make sure that all of our listeners know where to go to get more information. So you mentioned a couple resources. I think it’s probably worth bringing those up again, just to make sure folks know where to go. And then if there’s any other resources or content that you’re aware of that you can share, now would also be a great time to tell us about those. Sure. So we’ve mentioned the National Farm to School Network, and so I think that’s going to be a great resource for people to visit. And that’s the National Network, and I think that that’s going to be a great site for people to visit. The other place that I would definitely mention on on our Center for Regional Food Systems website – which is FoodSystems.MSU.edu – there are a number of resources that people can utilize for planning. We have a Local Food for a Little Eaters purchasing toolbox. We also have a companion guide that’s Local Food for a Little Eaters, and that’s a Migrant and Seasonal Headstart guide to local food purchasing. We have a garden-to-cafeteria step-by-step guide. And then a Farm to Early Childhood Program step-by-step guide. So any of those guides are things that people can download for free and utilize them as needed. Wonderful. Meagen, this has been a fascinating episode. 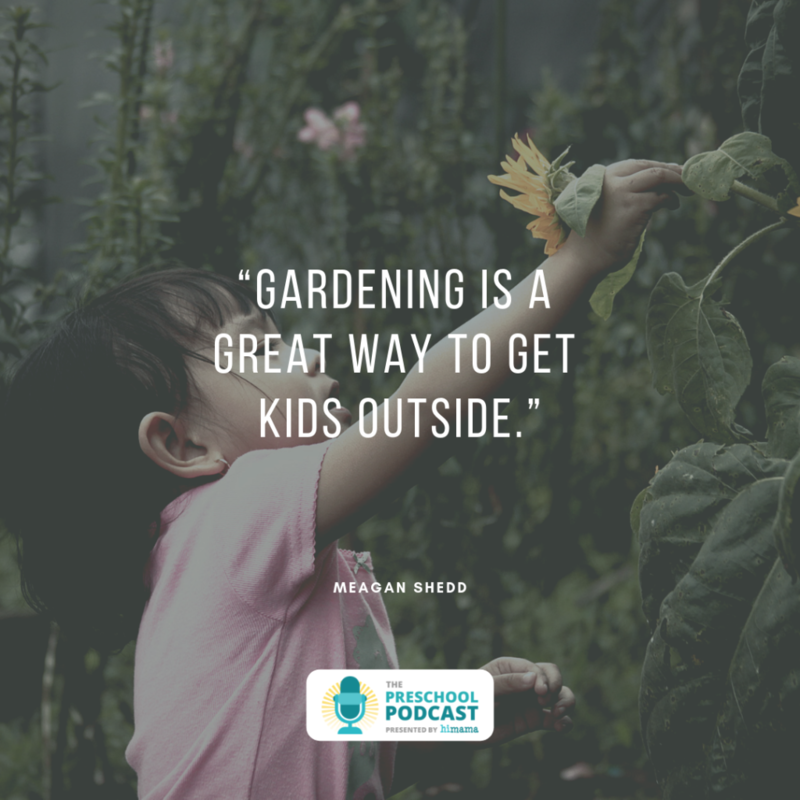 It’s got so many important elements to it, right from the basics of health and nutrition, to learning and development through experiential learning and gardening and getting everybody involved. I love it. Thank you so much for coming on the show and being a guest with us today, Meagen.